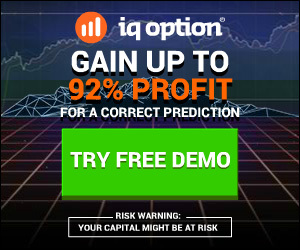 When looking around for a Binary Options Trading Signal Provider, most newbies don’t have any yardsticks for measurement, and are too quickly taken in by claims of “85% Win Rate”. Let me explain to you what usually happens in a typical week of trading. You be the judge. It is a very common question among the traders that is 85-95% win rate even possible in binary options trading? Let me clear it. It is just impossible to get this percentage regularly by binary options trading. It is sure that, you can get results like that in some good trading days. But you will not get this percentage regular basis. The average win rate is 75%+ good binary options traders. If you find any service that tell you to give you 85%-95% success rate, just stay away from these signal services. They are just fake. Because It is quite impossible to get this regularly. If you have a an experience to share, or something to seek advice about, you may write me at http://facebook.com/thebinarylabpage. To join The Binary Lab, the Binary Options Community I started 5 years ago, where you get to Watch, Follow Trades and Learn from the on-going Daily Webinar Trainings I provide, sign up at https://thebinarylab.net/join-binary-lab. Be sure to “Like” and “Subscribe” for updates when I post new videos online!